When it comes to Halloween goodies, how many costs are you eating? 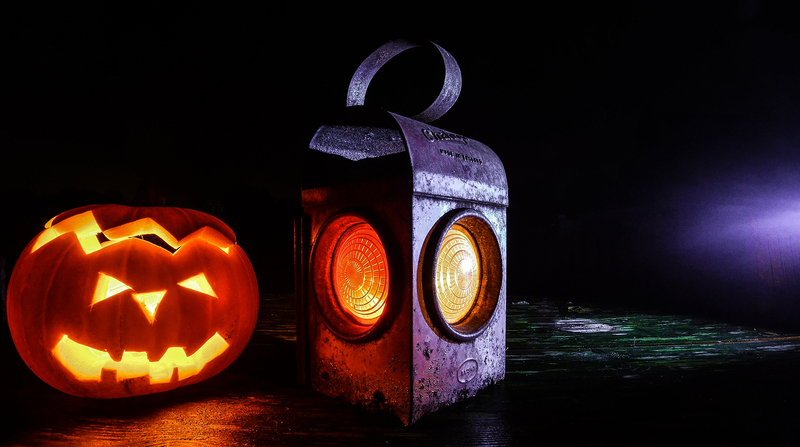 Halloween offers up spooky fun that can bring a unique and attractive atmosphere to your business, but it can be another expense on top of the normal, frustrating overhead you deal with every other day of the year. Good news! When done right, the holiday can actually give your business a tax deduction. Many small businesses pour loads of money into making their small business festive for the holiday. But you don’t need to count these expenses as a complete financial loss. Save all of your receipts for Halloween-related items in order to claim them as a deduction on your annual return. The most surprising tax deduction for Halloween is candy. That big giant bowl of candy you keep at the front of your business for trick-or-treaters can actually be a write-off. Moreover, if you create custom candies branded with your company logo, the expense to make the product is another deduction. Even business cards and promotional flyers attached to Halloween candies are tax deductible. Got plenty of leftover candy? There are many charitable organizations that collect unused Halloween candy to send overseas to troops. Just make sure the charity you’re donating to has 501(3) status with the IRS. Keep in mind that chocolate is usually not accepted by many organizations since it will likely melt during transport. Plan on sending an expensive box of candy or chocolate to new or existing clients for Halloween? The IRS will accept the cost as a marketing deduction for your tax return. Providing your employees with Halloween costumes? Then, you can deduct the cost of the costumes worn during normal business hours. Another possible way to get a tax deduction and an excellent way to give back to your community is to donate used Halloween costumes to a local charity that accepts them. The IRS provides a listing of organizations with tax-exempt status that you can choose from. The organization will provide you with a receipt that you can save with your tax records. The tax deduction can be calculated by estimating the fair market value of the costume. Along with the receipts, you should keep photos of the costumes to prove that they were in good condition when donated. Although individuals can’t write off Halloween decorations on their taxes, businesses can. Since decorations are used to drive customers and clients into your business, they are eligible to be included in your itemizations. Decorations used for a company hosted Halloween party are accepted as well. If you have a Halloween party with the purpose of conducting business, the expenses associated with the event are deductible. Employee only parties will not count, so make sure you invite potential and existing clients to the event. Deductible expenses besides the decorations include branded Halloween goodies and advertising materials. Although employee parties aren’t eligible for deductions, you can write off the costs associated with any treats you provide on Halloween as a way to boost employee morale. This could include a catered lunch for your staff or individual goody bags. Around any holiday, many businesses end up increasing their advertising budget. You could be holding a special sale to drive more customers into your business around Halloween. Marketing costs may include promotional newspaper ads, social media advertisements, flyers, business cards, radio and TV ads, billboards, signs, and display racks. Don’t forget to include these special Halloween advertising costs to your list of tax deductions. Keep in mind that not all holiday marketing can be deducted. For instance, if you place a help wanted ad for extra Halloween staff, that’s considered a normal operating expense. With the knowledge of just how many Halloween expenses can be deducted, you can now elevate your Halloween celebrations to attract more new business and create a fun, inviting office atmosphere.